Jim Yerby sent these images several days ago. 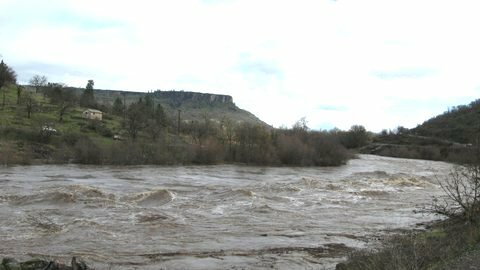 He says the Rogue River was perhaps as much as 20 feet higher than normal summer flows, even in the wide section of the river. A flood of this magnitude can only help redeposit the kind of higher-grade gold deposits we are looking for during the summer months. Storm flows will also wash away the last of the sediments which migrated down from behind the dams that were removed two years ago. It’s all good. I’m already getting excited about the 2013 season! New High-banking Properties Along the Klamath River! Merry Christmas, you guys! We are quietly confirming acquisition of several new mining claims along the Klamath River. As long as everything firms up the way it looks at the moment, I hope to announce miles of excellent new high-banking ground over the coming month or so. Once we resume dredging in California, one of the properties contains some of the richest underwater mining along the Klamath, much of it remaining untouched. Extensive bedrock gently sloping off the far side of the river will make this perhaps the best above and below water sniping and crevicing area along the Klamath River! I’ll provide more explanation once all our confirmations are complete. All I can say right now is that there is reason to be very excited. Once in a while, the sun really does smile on us! These new acquisitions could actually change the location of where we will conduct our Group Mining Programs this coming season. The only reason I am not including some initial images with this newsletter is that, due to the recent storms, all of the new high-banking areas are presently underwater. The Klamath River is also busy re-concentrating high-grade gold deposits! Way to go!! What to do with Days, Deadman & Myrtle Creeks? 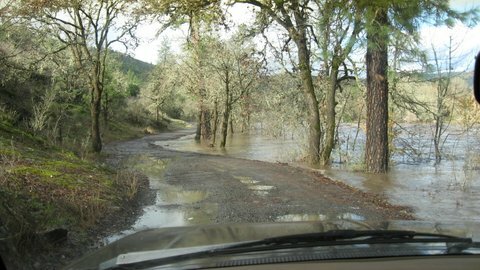 As some of you may recall, our property acquisitions last year were all on the South Fork of the Umpqua River drainage in southern Oregon. Here is the map. It began with miles and miles of new properties along the South Umpqua. To supplement the river with some creek properties, we also acquired claims along Days, Deadman & Myrtle Creeks in the vicinity of our new river properties. It was all very exciting until the Ninth Circuit sided with anti-mining advocates with a Decision that made it much more difficult to start up a group mining program on the U.S. National Forest. We are now appealing this Decision to the U.S. Supreme Court. Meanwhile, our new mining properties along the South Umpqua are in a state of limbo. There still remain miles and miles of proven dredging property on the South Umpqua available on the State Lands. Those areas are shown on our South Umpqua Access Guide. Our new properties on Days, Deadman & Myrtle Creeks are located on Bureau of Land Management (BLM) managed lands, which are not affected by the Ninth Circuit’s Decision. Unfortunately, the reports we have received in the office from members who spent time on these creeks last summer were that prospecting results have been poor-to-terrible. I hate the idea of getting members all excited about going to places where they cannot find enough gold to make the effort worthwhile. Since these properties were only meant to supplement what we acquired on the South Umpqua, and the South Umpqua properties will not be available until we win in the U.S. Supreme Court, we are considering dropping the new claims on Days, Deadman & Myrtle Creek. Since the Ninth Circuit Decision has slowed our effective expansion into other areas, we will now focus our resources in the short term into acquisition of more high-grade properties along the Klamath River in the vicinity of Happy Camp in northern California. Please stay tuned for the good news! I am sorry to report that long time New 49’er founding member, Bill Stumpf, recently passed away from a six-month battle with cancer. He was 73. Many of us remember Bill as the long time tour guide to the New 49’er mining properties. He freely shared his knowledge of dredging, high-banking and mossing with many hundreds of miners, families and friends. 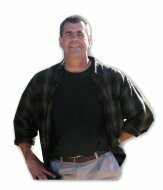 His knowledge of the Klamath River area and his ready helpfulness will be missed by many. We actually started The New 49’ers in early 1986 with a meeting in Bill’s house in Quartzsite, Arizona. Bill and his wife at the time, Marcy, also helped start the Pro-Mack Mining Supply store in Happy Camp during 1987. They played a very big part in organizing and managing The New 49ers all the way through the late 1990’s. Bill managed all of the weekend mining projects for many years while I was busy on other things. Bill was one of the most loyal friends I have had in this life. We went through a lot together, through thick and thin. I could write a whole book on just the adventures (and misadventures) we went through together. Bill was a very kind person. He had a lot of friends. We will miss him a lot. He leaves behind his wife of many years, Jan Stumpf, 1115 Dakota Avenue, Medford, OR 97501, and his two sons, Danny & David, who were very active commercial gold dredgers (both winter and summer) in the Club during the early 90’s. Special Sneak Preview of Lost Treasure Hunters! I just got word that Animal Planet is tentatively planning to air a sneak preview of Lost Treasure Hunters at 11 PM on 23 December. The producer says that people should check with their local channel listings, because all of this is subject to change. I gather that our show is supposed to follow the new season premiere of “Finding Bigfoot.” The producer also said that the international networks in Asia and Europe have picked up our show. It’s all good news. Now let’s hope for some good ratings! For those of you who go to bed early like me, don’t forget to set your DVR’s! I’ll be very interested in your comments on my Facebook page (see below). Only 200 Special Editions Remaining! 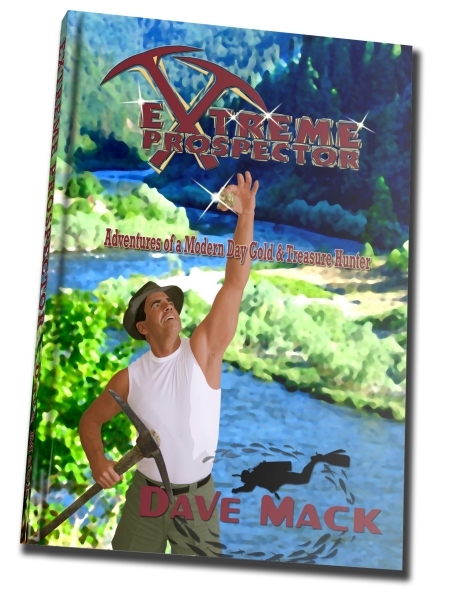 At long last, my new 512-page book “Extreme Prospector” has been delivered from the printer. The book includes my very best adventures, all rewritten to include plenty of detail and some of my best-kept secrets, including several adventures during my time in the Navy SEAL Team. As far as I know, this is the first and only adventure book ever written which brings to light the incredible excitement of discovering high-grade gold deposits – for real. I am pleased to say that initial reviews of the book are quite good! I only signed 500 hard cover Special Editions. As a special promotion, we are making these Special Editions available at the very same price of the soft cover version ($19.95). The girls in our office have been taking phone orders since we put out the October newsletter: 530 493-2062. The first 300 have already been committed. The last remaining 200 Special Editions are now available on a first come, first served, basis. Since this is a New 49’er newsletter, with a very rare exception, I try and keep the news on track with the things that are happening with our organization, and with the larger issues which directly affect us. We also try and keep our Internet Forum mostly on mining-related subjects, though we do allow a little more leeway there. Just as an example, my latest blog outlines the startling truth that all of these budget battles going on right now in congress about how to avoid the “fiscal cliff” in January is largely about trying to lessen the pain of an automatic cut from the federal budget of 109 billion dollars for each of the next 10 years, while overspending is still projected to be 10 times that much. Yes; the big fight is over only 10% of overspending! The truth is that there is no real fiscal responsibility being promoted by either political party. Even if the sequestration budget cuts begin in January, our federal government is still going to be running us another trillion dollars or more in the hole every year! So what is all the noise about? The truth is that we are being fed a line of BS by our politicians and the press while America’s ship is sinking by the day. What good is bailing 10% of water that is flooding in to sink the ship? The big fight is over 10% while nobody is doing anything about the bigger problem! This is the reality which we are all facing! Looking out ahead, the major “fiscal cliff” is still to come. This means we should be planning for big trouble ahead. It also means gold has nowhere to go but up, up, up! Signing up also places you on our Political Action Team. Things happen so fast these days; it takes too long to organize political action through the U.S. mail. As an example, just two years ago, in concert with other mining organizations, our Internet Action Team killed anti-mining legislation in Oregon in less than a week. Just as we go to press with this newsletter, we have our attorney analyzing a new bill (LC 2125) in Oregon which looks on its face to be something we must fight. All of these future battles will be organized over the Internet since it is so much faster.